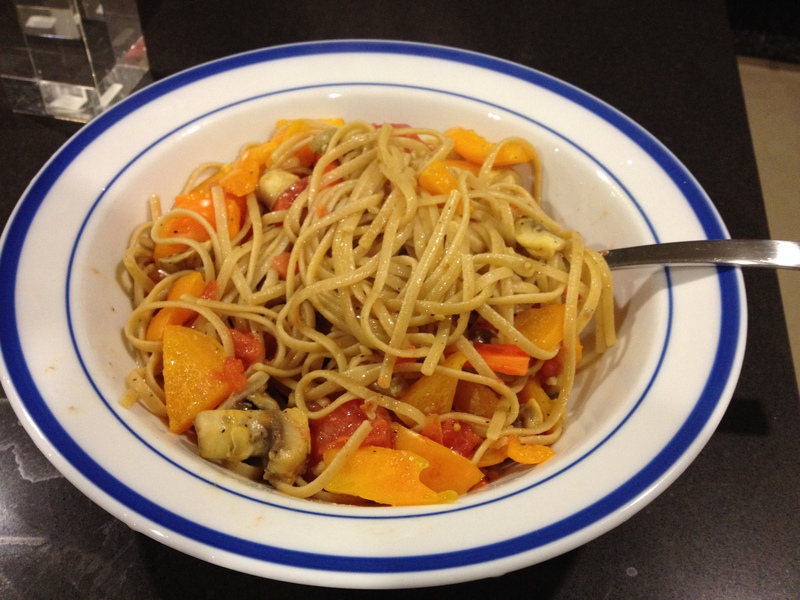 I got home around 10pm really hungry, so I made a big bowl of whole wheat pasta and veggies (yes, I used some oil). I was still hungry, so I had two tortillas w/ avocado, and two bowls of shredded wheat and fruit. Don’t worry, it’s healthy. It’s not McNuggets and fries (what I used to eat).